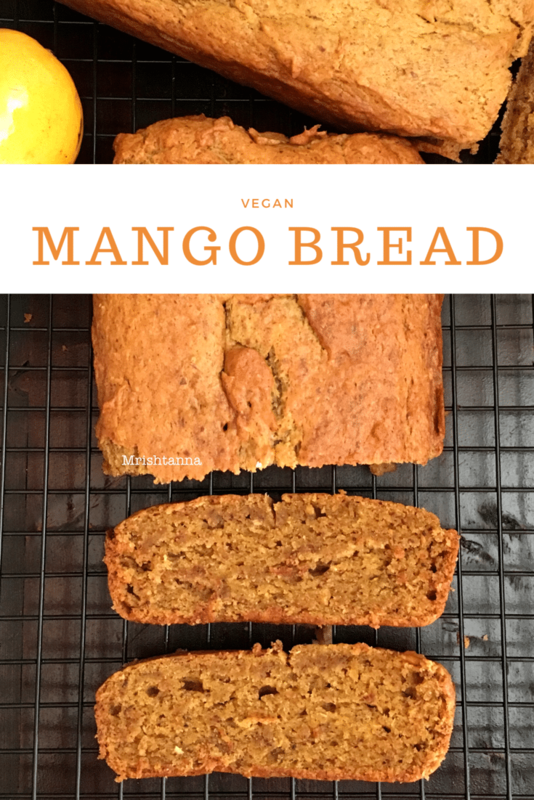 Â Ultimate Vegan Mango Bread Recipe ! Have you ever tasted a wonderful recipe when you traveled far away from home? And did you try re-creating the recipe based on what you remembered? Well thatâ€™s what happened to me, after I tasted the Mango Bread in Maui, a few years back. It was an all day road trip to Hana and we stopped at several road side snack shops on our way to taste the local pineapples, toasted coconuts and mangoes. But the one thing that stayed in my mind was Mango Bread. Sure, there is nothing special about bread, but you have got to taste it to believe how heavenly it can be. It was like I had never tasted a bread that is fluffier yet richer in taste and flavor. I stopped at the same place on my way back to ask them about the ingredients, but they were all gone by that time (No surprise there). Since then I said to myself, I am not giving up until I perfect this recipe in my own vegan style. As you might have noticed from my recipes, a replacement for eggs is not hard to find. I have tried Aquafaba in the past with good success. 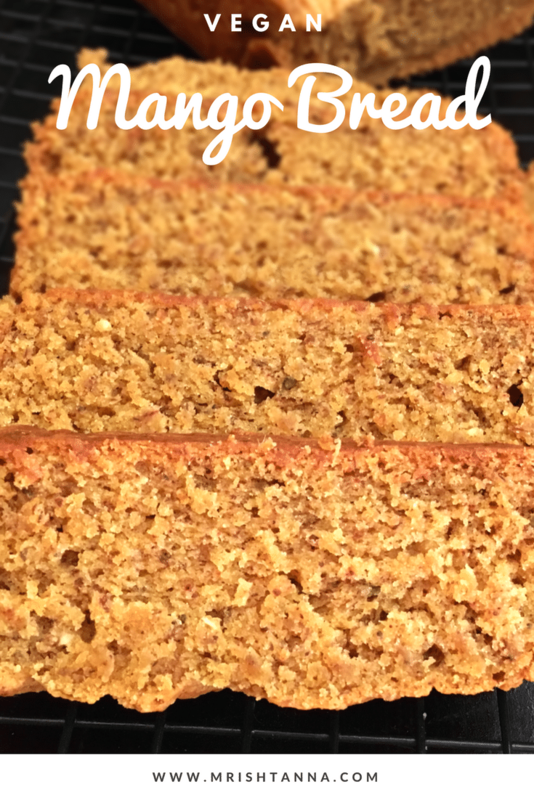 For todayâ€™s recipe I have used Flax seed meal and it turned out even better than Aquafaba. Apart from the fluffy texture it provides, flax seeds come with immense health benefits with zero cholesterol. Check my ingredient list to find out the procedure for using flax meal as an egg replacement. 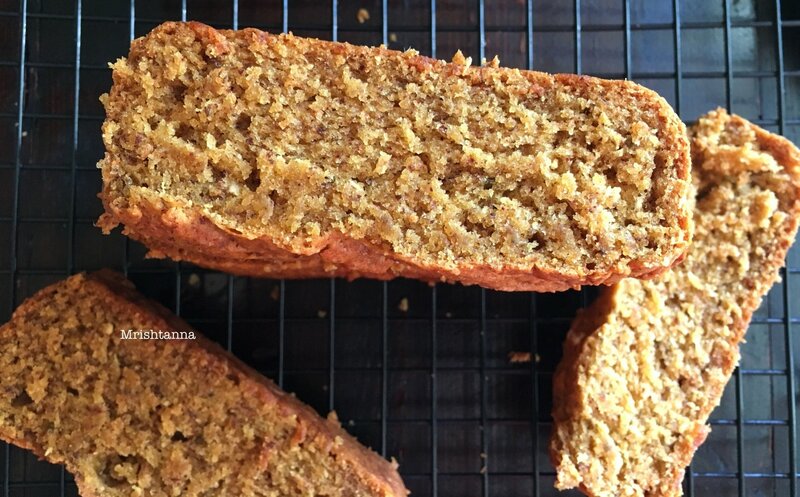 A tropical flavored bread with no cholesterol or high fructose corn syrup. How much better can it get? Hereâ€™s the recipe, but do not forget to share this with your friends. 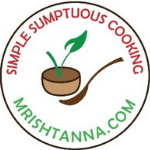 Mark my Facebook Page for quick reference or better yet, pin my recipe on Pinterest. I hope you will enjoy this recipe as much as I did. Preheat oven to 350F (175C). Lightly grease two 9x5 inch loaf pans with vegan butter. In a large bowl, mix the dry ingredients: Flour, Baking soda, Salt and Cinnamon. In a blender, pulse the chopped mangoes for 30 seconds. Add brown sugar, organic sugar, coconut, vanilla essence and flax eggs and pulse for another minute. Blend this mixture with the flour mixture and stir until the mixture is homogenous. Pour into the trays and bake them for 40 minutes. Check to see if a toothpick inserted into the center of the loaf comes out clean. If not bake for few more minutes and try again. Take the bread out of the oven and let it cool for 20 minutes before slicing. Serve warm or room temperature with a refreshing glass of spiced soy milk chai (Masala Tea). Believe me, it is heavenly! We don’t need to tell anyone it is vegan. I am sure the mangoes add so much flavor and sweetness. Why not! We have to tell people when it’s good and we don’t need any animal products to make such a delicious bread! Thanks. Mango bread? Now THAT is a unique recipe. I’m very curious about how this one comes out. My son in law loves mangoes so he would love this bread. Mangoes are his favorite fruit. Mine too:) I will never say no to Mango! We bought a ton of mangoes, and I’m really excited to try your bread! Hopefully my boyfriend won’t eat them all before I can. He’s addicted! I have seen a couple of breads made with fruit but I’ve never seen mango bread before. I bet this would be tasty if lightly toasted. I’ve made a lot of bread but I must admit I’ve never added Mango to my bread yet..! Surprising since I LOVE mango! Can’t wait to try this. I love mangos so this bread sounds really yummy. I never really thought of using them in bread but think this is such a great idea.